When it comes to a typical CRM, it basically behaves as a data entry platform for sales teams and may lack many features which could provide more control to the entire sales team. Similarly, not many of the CRM software come up with highly desired features which could adapt with an inevitable exercise for a moderate to large size sales team i.e. sales target management and it’s tracking at unit level. Here, at PenguinCRM, we are bringing this sales empowering Target allocation and tracking tool. 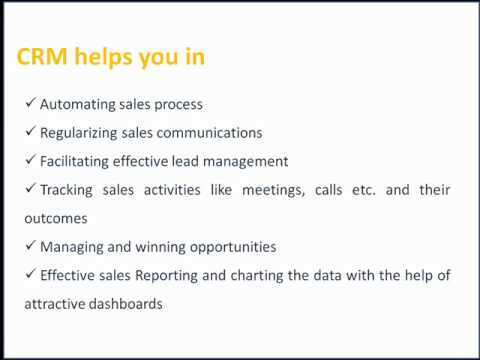 This is what we do – Learn about your CRM consulting Partner! Promoting your products and services, Selling, cross selling, up selling, revenue generation, making money and calculating profits for next year’s projection, sounds cozy! Isn’t it? Is it that simple? The ultimate goal of any business organization is to make profits by collaborating with its customers and prospects. The whole idea starts with searching prospects in the target market. Initial interaction is required to know whether the selected prospects are really interested in your service or not. If you are lucky enough you will get the piece of pie. Then you take a call and start concluding on the specific requirements of the prospect. Match the specific need with the availability at your organization and win a project for your organization. Now it is clear that your core business lies in this profit center which is Marketing and sales. Unfortunately IT industries first started paying attention on the cost centers of the organization and implemented so many success stories as ERP implementations. Up to some extent it was quite obvious, as the industrialization started with sellers market concept where customer’s specific needs were not very important for any organization. But now scenario has entirely changed. Market has become buyer’s market and in this nearly “perfect competition” organizations can’t avoid customer’s preference and comfort, if they want to survive. CRM believes in the potential of customer’s happiness and takes care of your “golden goose”. When recession seems to be over, many companies are now thinking of rearranging their resources and business with the help of technology. Companies which are dealing with a plenty of customers every day, appreciating the contribution of enterprise applications like CRM. Based on the consistent innovative CRM implementation track record and in depth understanding in CRM domain PenguinCRM has bagged couple of giant turnkey projects from developing countries like India, Singapore, Malaysia etc. As many of them are annual contract based projects Penguinians are ambitious about providing unbiased enterprise consulting to these clients. PenguinCRM suggests SugarCRM as one of the most known enterprise application which can adapt easily with any kind of complex as well as simple organizational structure. SugarCRM is basically meant for Customer Relationship Management requirements in organizations but if customized wisely it can be extended to the ERP based requirements too. It is possible due its Open Source nature where it gives the freedom to customize up to n – level and use the entire application as a framework for making more complex enterprise applications. Out of company’s many wins PenguinCRM mentioned a reputed client from India named Infodrive India. It claims to be the first company in India which provides online data of Export and import. It holds a very much data intensive business flow and needs to be standardized and automated with the help of Enterprise application like SugarCRM. Looking at the growth opportunity, IT consulting companies from Malaysia, South Africa and India are showing interest in partnering with PenguinCRM as an implementation partner for their clients. PenguinCRM is wisely selecting these partners to extend its reach across the world. PenguinCRM is a Hyderabad based SugarCRM consulting company which provides wide range of Open source CRM related services including SugarCRM – installation, hosting, customization, module development, plug-ins, Joomla integration, Asterisk integration, Magento integration, workflows and other custom web based application development. Earlier PenguinCRM was an offshore development center for US based CRM consultants but after getting a vast experience in SugarCRM and other open source product consulting it has now successfully evolved as an innovative CRM consulting company in India. PenguinCRM has recently bagged turnkey projects for SugarCRM implementation! !